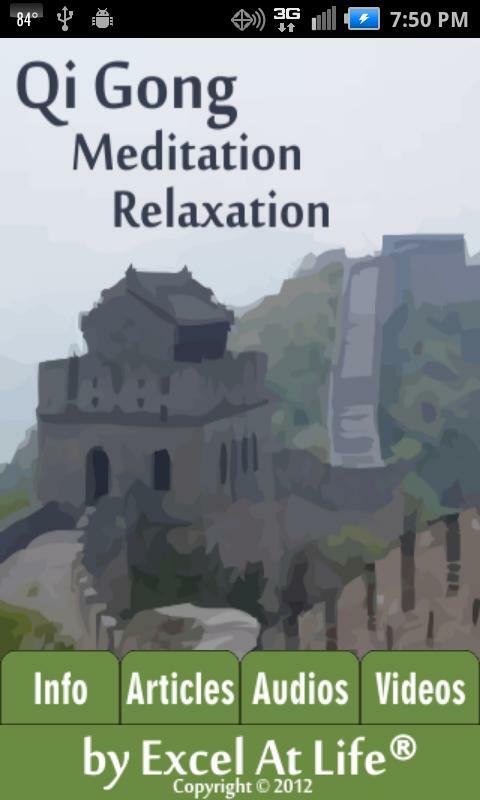 The Qi Gong Meditation Relaxation app is intended to help you relax and reduce stress through Qi Gong, gentle movement combined with breathing. Qi Gong is a basic form of Tai Chi. The app provides links to videos teaching the methods of Qi Gong as well as provides meditative Qi Gong sessions. The videos feature a psychologist with training in Tai Chi and sport and exercise psychology. Requires Android 2.0 and up.